– Carry out health surveillance where there is a risk to health. – Low-level noise that is a nuisance but causes no risk of hearing damage. 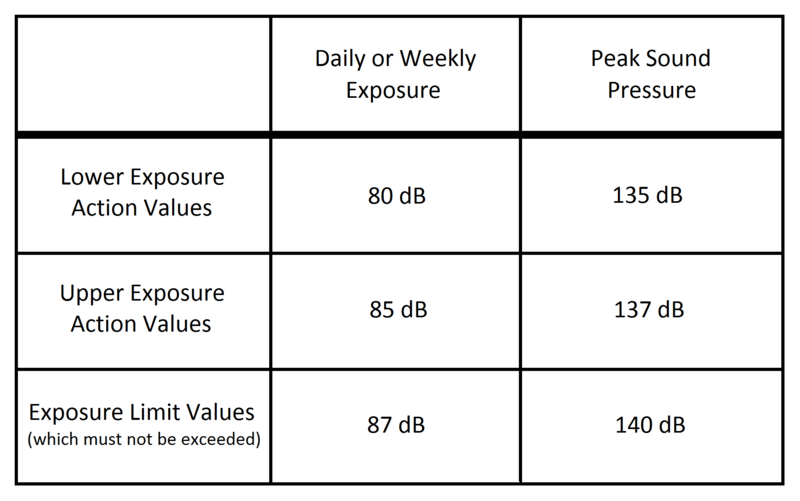 – The levels of exposure to noise of employees averaged over a working day or week. – The maximum noise (peak sound pressure) to which employees are exposed in a working day. This entry was posted on Sunday, July 10th, 2016 at 9:54 am	and is filed under Soundproofing News. You can follow any responses to this entry through the RSS 2.0 feed. Both comments and pings are currently closed.